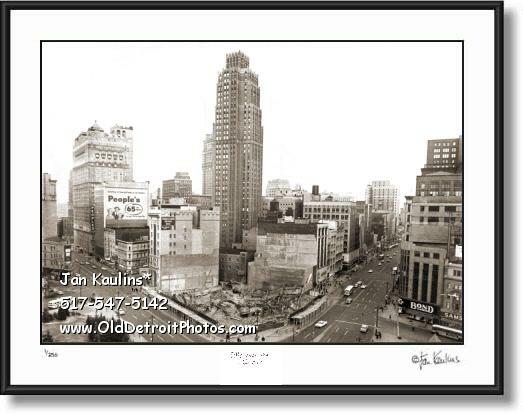 MAJESTIC BUILDING DETROIT DEMOLITION photo picture print photography for sale. This sepia toned MAJESTIC BUILDING Detroit demolition photo is made from a professionally restored original 1962 historic negative/photo. This historic image shows the remnants of this grand structure, as viwed from the 10th floor of the First National Bldg., after it was torn down to make way for the new FIRST FEDERAL SAVINGS AND LOAN DETROIT building.